A new Help to Buy Equity Loan scheme will launch exclusively for first time buyers in April 2021, chancellor Philip Hammond announced in the 2018 Autumn budget. The scheme replaces the current provision and limits funding to those first onto the housing ladder with regional property price caps up to £600,000 in London. 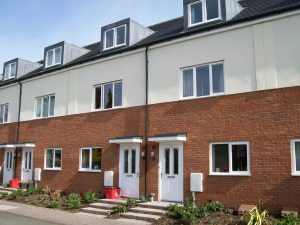 The government expects to have invested £22 billion in the current scheme, helping £360,000 households into home ownership. 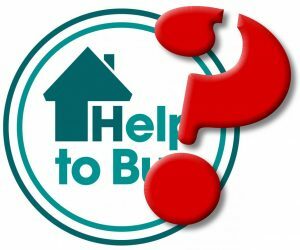 However, there are no plans to introduce a further Equity Loan scheme past March 2023 which poses the question, what next for Help to Buy? The financial crash of 2008 has meant increased requirements for larger deposits making it difficult for those with small deposits to buy homes, whilst those with falling equity were effectively trapped in their existing homes. The Government was prompted to introduce the scheme in 2013 after the financial crash of 2007 made it more difficult for those with small deposits to get out of rented accommodation, or those with reduced equity in their property trapped in their existing homes. The tagline in 2013 was that the scheme would enable “all those who aspire to own a new build home” to do so. When the Mortgage Guarantee scheme launched in 2014, it doubled the number of lenders offering mortgages on second hand properties to those with just a 5% deposit. This scheme would provide a 15% guarantee to the mortgage lender should the client default on the loan. When the guarantee was withdrawn in 2016, lenders continued to offer high loan to value mortgages on pre-owned homes. At present, there are only a small handful of mainstream lenders willing to lend at 90% or 95% loan to value without utilising the equity loan available from the government. The difficulty in withdrawing this funding in full is that the government has massive housebuilding targets and if lenders do not step up to offer the higher loan to value deals on their own, could builders confidence fall in their ability to sell the same quantity of homes? Approximately 1 in 5 properties were sold using the equity loan scheme in the first year of its launch. The government is relying on mortgage lenders to offer these higher loan to value deals without incentives. Personally, I believe we could see the introduction of a mortgage guarantee scheme in 2023 to replace the current equity loan proposition – potentially even sooner. This would shrink the risk posed to mortgage lenders of falling values and reduce the cost to government without having to shell out 20% of a properties value once sold. Given the success of the previous mortgage guarantee scheme and the continuation of lenders offering high loan to value mortgages a similar proposition could bridge the gap and ensure minimal disruption in the housing market. It all comes down to confidence in the market and given the uncertainties around Brexit it will be interesting to see how the housing market develops over the coming months and years.